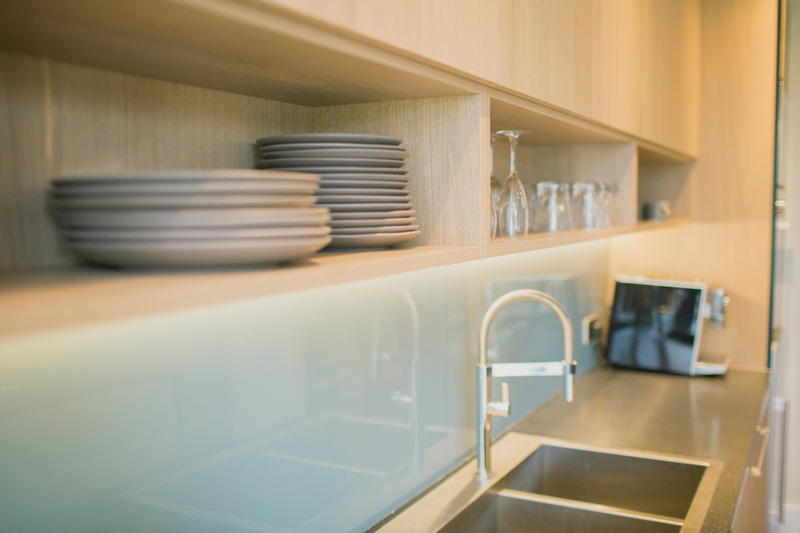 Custom cabinetry offers owners a lot more creativity during the design process. In regards to the kitchen, more thought is being put towards storage solutions, cabinet inserts, and accessories. But more homeowners are also thinking about bath options, wardrobe systems, home office and desk units. Besides aesthetics, spaces are being designed by considering everyday operation and ease....the ease of cabinet operation (touch latches, soft-close hardware, lift systems, etc), heights of cabinets, roll-out shelves, inserts for optimal organization and overall function. Mixing of cabinet materials and finishes are still trending but flowing more into bath and living spaces. 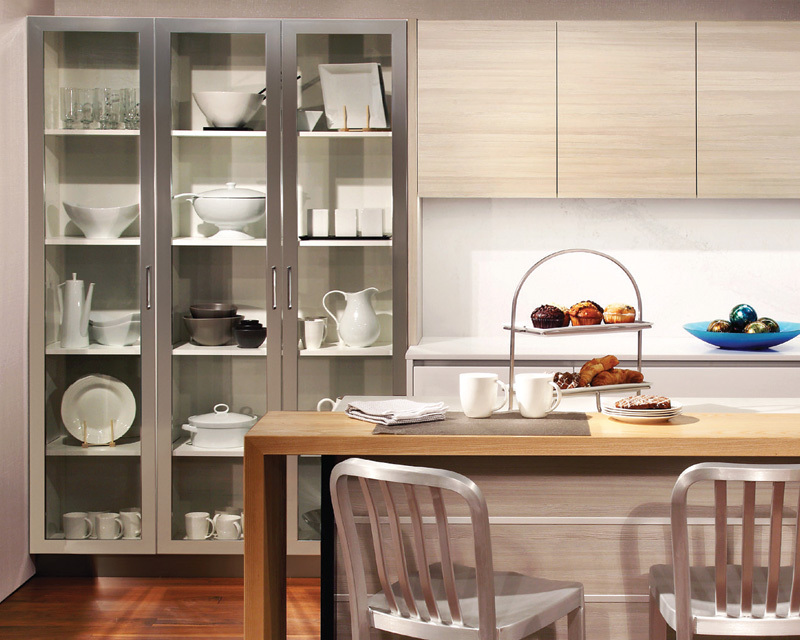 One of the most popular requested material for cabinets is textured melamine. This material has a slight grain texture, is durable and is very easy to clean and maintain. Homeowners are using textured melamine doors for their base cabinets and mixing other materials for their upper cabinets or using one material for the main cabinets and another for the island (as a contrast). But also explore other materials you can incorporate into your design like aluminum doors, glass inserts, backlit glass, high gloss doors as a focal point, and more. During the planning stages, consider your options. A great place to start is the internet. Many social sites like Pinterest and Houzz showcase amazing ideas to get you started. It's always best to have some kind of design plan before meeting with a cabinet maker. There's always a starting point in regards to cost. The word "custom" is associated with being expensive but there are ways to get the look you are trying to achieve, considering different options, without compromising quality or design. 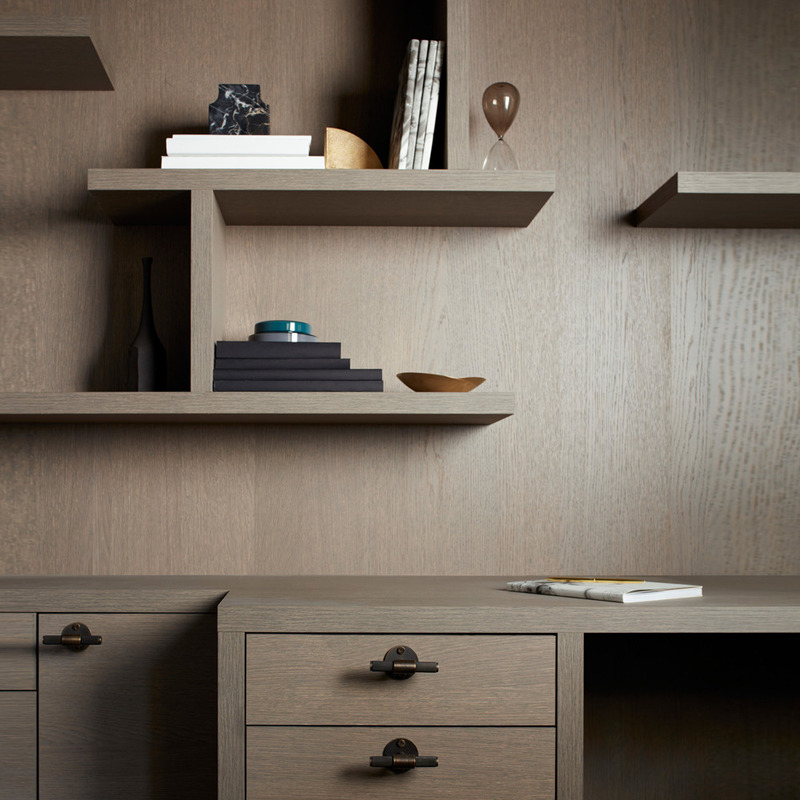 Learn more about custom cabinetry by visiting our cabinet-line website, IslandModern.